Deacon Simmie Lee Gordon was born January 27, 1928 in Flemington, Florida to Hosea Gordon and Annie Gordon. Later moved to Detroit, Michigan where he was employed for many years with General Motors and retiring in 1983. While in Detroit he met and married Selma L. Gordon. They joined Burnette Baptist Church in Detroit where he served faithfully on the Deacon Board until moving back to Florida and joining Greater New Bethel in 1983; again, serving on the Deacon Board until his health failed. God called him home on November 22,2018. Deacon Simmie Gordon leaves to cherish his memories five children, Jerome Blunt of Flemington, Dorothy Blunt of Miami, Gloria Evans of Ocala, Larry Jamerson of Orange lake and Patricia Jones of Flemington; one sister, Curlene Frazier of Bradenton; a host of grandchildren; great grandchildren, great great-grands, nieces, nephews, cousins and special friends. Public Viewing will be on Friday, November 30, 2018 from 2:00 PM til 6:00 PM. at Summers Funeral Home, 2238 NW 10th St. Ocala, Florida. 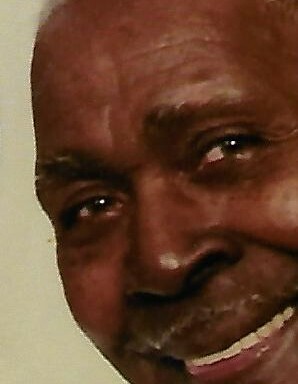 Funeral Service will be on Saturday, December 1, 2018 at 2:00 PM at Greater New Bethel Baptist Church, 10215 NW 177th Place, Reddick, FL 32686 Reverend Michael Maeweathers, Pastor, Reverend Richard Howard, Sr. Eulogist. Final Interment will follow at Greater New Bethel Church Cemetery, Reddick, FL.